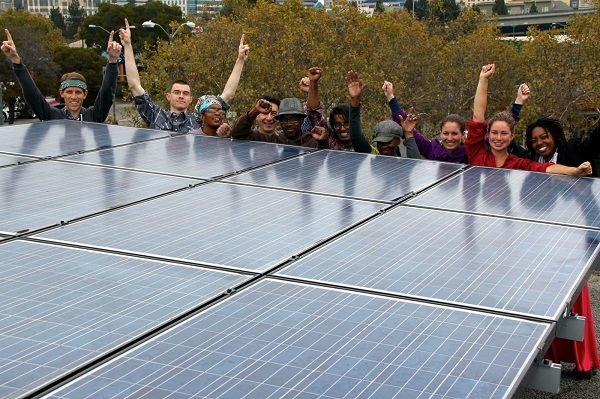 Solar crowdfunder Mosaic is the latest entrant into clean energy’s next big market -– off-grid clean energy. Thanks to a top prize of $1 million from Verizon Powerful Answers, Mosaic will be developing a mobile app and expanding to international markets in possible locations ranging from Guatemala to India. With machine to machine (M2M) technology poised to unlock clean energy for hundreds of millions around the world, the move couldn’t be more timely. Making solar work for people is a key part of Mosaic’s mission. Nearly half of its projects have focused on providing solar for underprivileged schools and community centers here in the U.S. Making solar work for the world’s poor is a logical extension. “By providing reliable energy to these previously unserved parts of the world, students can study after dark, medical supplies can be refrigerated, appliances can enhance productivity, and access to information and financial services can be increased, improving lives and alleviating some of the harshest poverty on earth,” said Daniel Rosen, Mosaic’s CEO. But make no mistake: This isn’t all butterflies and lollipops. The truth is, it’s a multibillion dollar market and the world’s next wireless revolution. Mosaic, and other companies using crowdsourcing to make investments, stand to make billions if they position themselves well. While some of the biggest names in solar from First Solar to SunEdison to SolarCity have created energy-access programs, the off-grid opportunity is still largely untapped. That leaves a wide open market for Mosaic to address. If the company is able to capture even a fraction of the retail investment market, it’s looking at a $90-billion opportunity (total crowdfunding in 2013 was somewhere near $5 billion). If even a portion of that is deployed in the estimated $40-billion off-grid lighting market, it will make a huge difference. That’s because despite all the opportunity, the space is cash-starved. Large development institutions like the World Bank have simply failed to invest -– largely because they’ve failed to realize that small is big. That’s not the only lesson they could learn from crowdsourcing investments. Crowdsourcing could be the fastest way to quickly and effectively jump-start the off-grid clean-energy market. Think of organizations like Mosaic as the speedboats that can help lead the supertankers (i.e., the World Bank) to finally invest in the sector and bring it to scale. If they’re successful, Mosaic will not only catalyze the sector, it will recapture the development narrative. No longer will we read cringe-worthy op-eds in the New York Times that argue in favor of saddling the poor with the world’s most toxic and outdated technologies. Instead, we’ll finally enter the 21st century,where the world’s most sophisticated technologies are made available for the world’s poorest populations. It’s only appropriate we’ll need mobile phones and crowdfunders to make it happen.